Professionista dello skateboard, surfista nel tempo libero, autore di un documentario, creatore di una linea di abbigliamento e di accessori per la tavola da neve, autentico personaggio di culto. Eppure non ha ancora 20 anni. Shaun White, originario di Carlsbad, nel sud della California, era atteso e si è confermato come uno dei personaggi a tutto tondo di Torino 2006, vincendo l'oro nell'half pipe malgrado una caduta nella prima run di qualificazione. Ha diviso la festa con i caschi color latte delle connazionali Hannah Teter e Gretchen Bleiler, che, in quest'ordine, si sono assicurate le due medaglie più pregiate nel femminile. 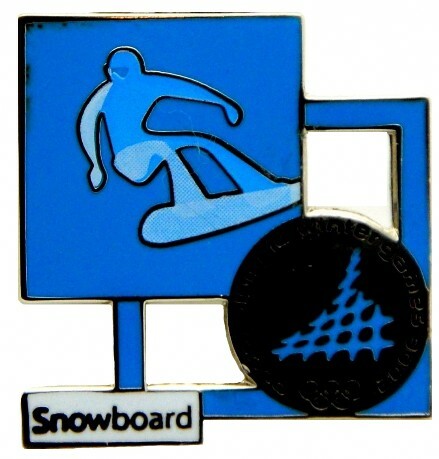 The six snowboarding golds were shared by just two nations: the United States and Switzerland. But the Swiss also enjoyed the thrill of an historic men's parallel giant slalom final between brothers Philipp and Simon Schoch. The 26-year-old "Philu" beat his year-older brother in the end, having already won gold at Salt Lake City in the same speciality The brothers may be rivals professionally but are so close that they even share the same official website. As a professional skateboarder, amateur surfer, documentary film-maker, and snowboard clothing and accessories designer, Shaun White already has a huge fan following at 19. 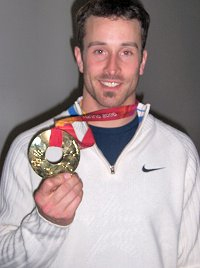 Originally from Carlsbad in Southern California, White lived up to expectations that he would be one of the great all-rounders of the Torino Games, by winning gold in the half pipe despite a fall in the first qualifying run. He celebrated his win with teammates Hannah Teter and Gretchen Bleiler, who won gold and silver respectively in the women's event. Seth Wescott, 29, is one of the many athletes to fall in love with snowboarding after becoming bored with traditional skiing. 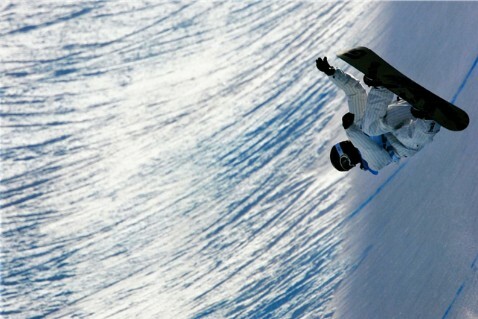 A wise move as he went on to become world snowboard cross champion in 2005. What's so special about this discipline? "It makes me feel like I'm a poet. And when I fly, I feel younger." As young perhaps as Radoslav Zidek, who had to settle for a silver. 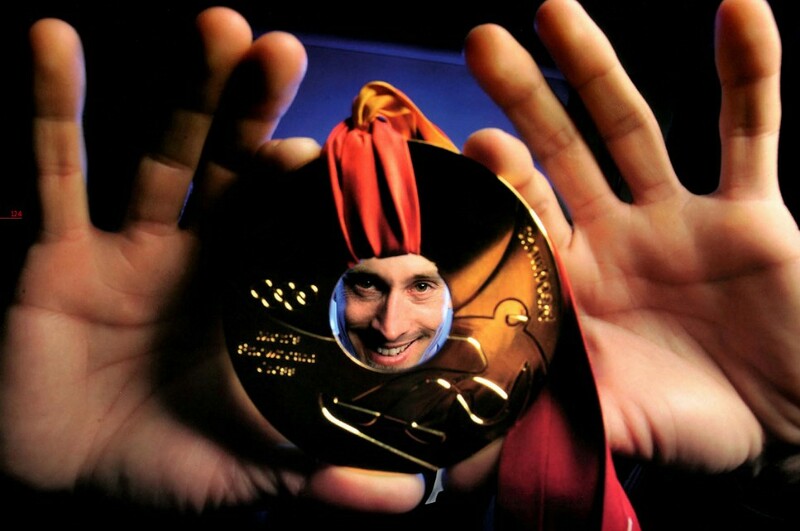 However, he must not have been too unhappy as he is the first SIovakian to take home a medal from the Winter Games. Zidek had already made a name for himself at the very top of the game. It didn't hurt either that the snowboard cross event is so unpredictable that it's always somewhat of a lottery. "Don't dream away your life; live your dreams!" is Daniela Meulis favourite saying. The 25-year-old women's parallel giant slalom gold medallist from Switzerland is a real all-rounder, counting windsurfing, mountain biking and tennis amongst her favourite sports. 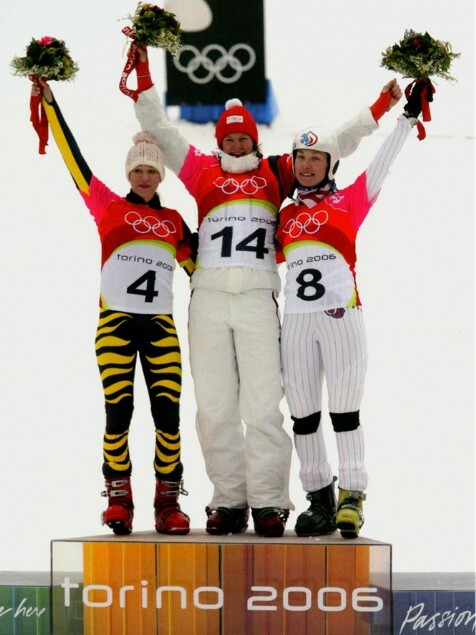 Although she only finished 20th at Salt Lake City in 2002 (Blanc, now struggling herself took the gold on that occasion), Meuli turned the tables to win in Torino ahead of 18-year-old Kober of Germany and Fletcher of America. In Italia, il giorno venerdì 17 è poco amato dagli scaramantici. Categoria alia quale potrebbe ora iscriversi l'americana Lindsay Jacobellis, che proprio venerdì 17 febbraio 2006 perde l'oro nello snowboard cross femminile: lanciata tutta soia verso il traguardo, con ancora 200 metri da coprire, tenta di afferrare la tavola per chiudere con un grab, cade e viene superata dalla svizzera Tanja Frieden. "Sono contenta perché oggi ho comunque fatto la storia", ha detto alla fine la statunitense, che era una delle favorite nelle previsioni delia vigilia. E che si dimostra artista, se non altro, neli'accettare una sconfitta così bruciante (dal Rapporto Ufficiale). Friday the 17th is considered as unlucky in Italy as Friday the 13th is in most other parts of the world. American Lindsay Jacobellis got a taste of just how unlucky it could he when she lost out on gold in the women's snowboard cross on that very day. With just 200 metres to go, Jacobellis was out on her own but tried to finish with a grab and fell, only to be passed by Tanja Frieden of Switzerland. "I'm happy because I still got to make history today," said America's favourite, who was supremely gracious in accepting such a cruel twist of events.